Effectively addressing these issues requires the involvement and governing of many different stakeholders as well as the application of the right technology and process knowledge that helps realizing Ghana’s short and long term needs. Currently, a suitable institutional framework and a shared understanding of the complexity and vulnerability of the Volta system are lacking. It is for this reason that the delegation requested our government to have a visit planned at Deltares. The Ghana Water Resources Commission organised a visit of a delegation from Ghana to Deltares to hear and see more about Dutch delta technology knowledge. Participants in this delegation were from water resources management related government agencies like the Environmental Protection Agency (EPA), the Volta River authority (VRA), the relevant institutions on protected area management and mangroves, the Fisheries Commission, the Municipal Assemblies, as well as Private Sector representatives. The key objectives of their visit were all about managing both their Volta basin and coastal resource developments. The RVO (Netherlands Enterprise Agency) and the Netherlands Embassy in Ghana were part of the organisation as well. After several presentations the visit ended by having a mixed Ghana-Netherlands interactive workshop focusing on the governance aspects of adaptive monitoring and management. This workshop ledto new insights on how we could strengthen the means of implementation and revitalize the partnership for sustainable development between the Netherlands and Ghana. For that several follow up actions have been planned. The Volta River is the main river system in West African Ghana. The river has been dammed at Akosombo for the purpose of generating hydroelectricity. 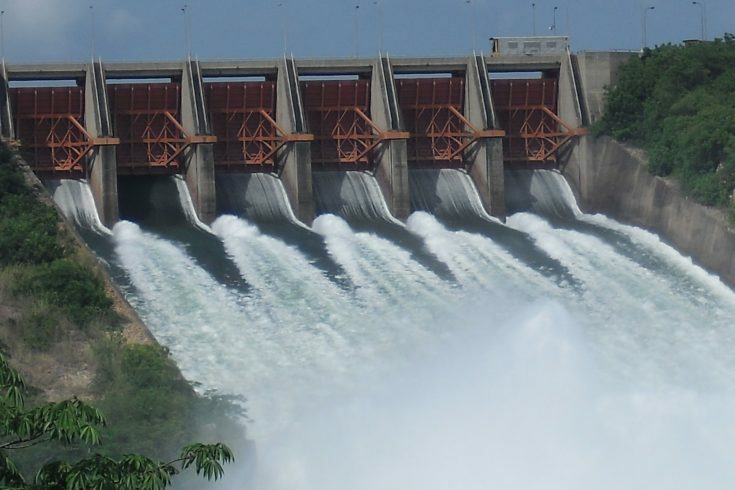 The Volta reservoir that was created stretches from Akosombo in the south to the far northern part of the country, making it one of the largest man-made reservoirs in the world. It sizes five times the Lake Ijssel.